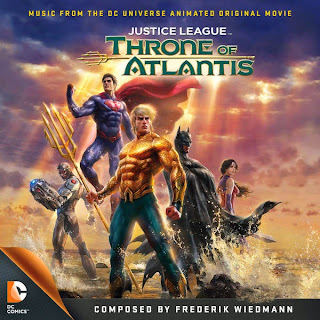 As Orm and Black Manta make their move against the surface world after the battle with Apokolips forces in Justice League War had deadly consequences for Atlantis, the queen of the lost underwater civilization searches for her other son, Orm’s half brother Arthur. Living on the surface world with powers he doesn’t understand, Arthur Curry steps into his destiny as Aquaman, teaming with the Justice League to save and unite all people of the world. The movie soundtrack of Justice League Throne of Atlantis is already available for download on iTunes.